About the Author: Nilanjan Guha from the University of Southern California shares insightful details about his journey from working full-time on semiconductor devices to interning at Intel. Of the greatest treasures of mankind, the finest are the ones which lead it to curiosity. Growing up in a middle-class Bengali family where the need for achievement is etched right onto your skin, staying on the top of your game at your lessons, evening dramatic class, and every competition was the ultimate requirement; however, I loved to solve mysteries. Be it how the gas stove worked or how the telephone carried our voices to lands afar, I craved for explanations. As I grew further, my curiosities increased manifolds; I came across concepts that astounded me even more and solutions that made my growth absolutely exciting. Engineering had started to beckon my curious conscious solemnly and offered me perfect answers to all the questions I ever had. By the definition set by modern engineers in the silicon industry, I was old. Having worked in the hardware design engineering stalwart for six years in the semiconductor industry and then in my thirties, it had taken every bit of determination to step towards school again for my masters at the University of Southern California. My family was adamant on me settling down in a 2BHK apartment with a BMW and two beautiful kids in the most reputed convent school, but I gave into the curiosity that kept nudging me. With my natural tendencies designed for practical approaches rather than theoretical, all I required was a tinge of luck to get accepted as a hardware design intern at Intel Corporation, which is known for the advances it has made in shaping the modern computing world. The opportunity had not come by easy. I had to beat a tough competition consisting of thousands of aspirants, each uniquely talented in her or his own way. The internship was posted on Intel’s Workday career portal, an employee database management system; I received its notification through Glassdoor. After being shortlisted, I gave three rounds of telephonic interviews wherein I was assessed on my technical knowledge with questions based on core electronics, digital design acumen, device physics, and their live projects. I got selected and found myself in an orientation session with an array of different interns, all from a diversity of different nationalities, ethnicities, races, and cultures, and of course, young and curious! I did not know if I would be able to match up to their energy levels and their thirst for knowledge and if they would accept a veteran amidst them; I was in for a surprise. Beyond being part of a workforce that was constantly put at the edge of the spectrum of knowledge and being surprised, defied, and ridiculed by technical concepts, I developed a sense of belongingness at Intel. I used to spend extra hours in the office trying to solidify my concepts. The young interns welcomed me to their circles with open arms, sharing knowledge, asking questions, and sharing their pies over lunch. We debated on technical grounds while joking around and pulling pranks on each other. I would cook Indian curries for them, and we would spend weekends satisfying our wanderlusts at several destinations in California, San Diego, Mexico, Utah, Grand Canyon, Lake Tahoe, Las Vegas, and Nevada. Whenever we came across a difficult problem in our projects, we would put our thinking caps together and spend nights in the office huddled around our monitors and countless mugs of coffee. Within three months, I became young again. It was fascinating to see how my passion worked miracles defying my age and every other barrier. While I was busy playing with technology all through the summer, I also arrived at the realization that there were still people in that highly developed country who couldn’t face their challenges due to their socio-economical deficiencies. So, I chose to be a part of Intel Involved, an initiative by the organization dedicated to providing meaningful resources to the underprivileged and building supportive communities for people who were not completely equipped to look after themselves. The foundation had been catering to the academic, nutritional, and health care needs of hundreds of children in California, besides using Intel’s cutting-edge technology to make workable solutions so that children and their teachers could learn better. 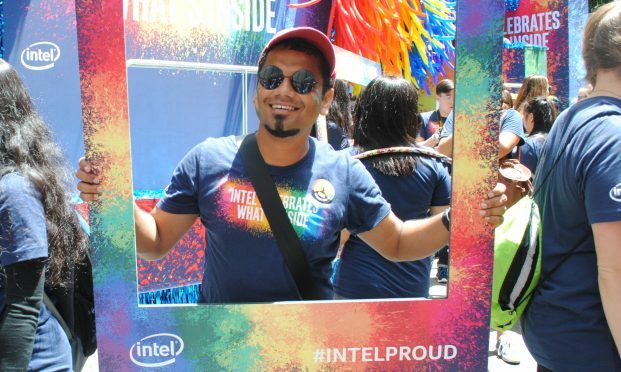 Intel also supported the LGBTQ community, and I was able to serve a significant role in two of their pride marches in Sacramento and San Francisco. Being part of an endeavour which not only created technology but also reached out to people who need it most was a cherishable experience. The experience was beyond what would serve me as a profile booster for my career. It taught me that we need to understand our audience to create technology. Every small circuit that I would design on my laptop could be a part of a technology revolution to make the world a better place. That I made a difference, was a feeling unparalleled! Have a knack for engineering? Check out these latest electronics engineering internships and set out to chase your passion. Sir, u wrote the content so well..